In effort to improve CLASS Notes, the publication will be undergoing some changes over the next few months, with the goal of being sent on a monthly basis to both internal AND external audiences in the near future. Thank you for your patience as we fine-tune the format and content. Each new year is a time for change, and as you know, 2018 will bring a leadership change for CLASS. Today, I want to talk to you about another change – one most of you are probably not aware of. Starting this week, six CLASS undergraduates will be joining our communications and marketing team. Four writers and two videographers will spend the spring semester interning with CLASS, creating content about the college. These students will be getting hands-on professional experience in communications and marketing, while building a portfolio for themselves. The students come from a variety of CLASS fields – public relations, English, Spanish, history, film and television studies, interdisciplinary studies and advertising. They are an example of one thing that does not change in CLASS which is the college’s commitment to providing transformative learning experiences to its students. This new talented group of writers and videographers will be up and running and full speed quickly, so please be sure to let the CLASS Communications and Marketing team know about the happenings, students, achievements and interesting stories in your area. Unhinged Sextet, a group that includes Professor of Trumpet and Director of Jazz Studies Vern Sielert, had their album “Don’t Blink” named as one of the best releases of 2017 by All About Jazz. The album features an original composition by Sielert. Kacy Pula, assistant professor in the Department of Psychology and Communication Studies, was named the 2018 Excellence in Advising – Faculty Advisor award winner for NACADA Region 8. She will be honored at the regional conference in March. Faculty members Miranda Wilson (music), Denise Bennett (journalism and mass media) and Zach Turpin (English) all participated in ORED’s inaugural Short and Sweet Research Talk on Dec. 7. Watch the video. 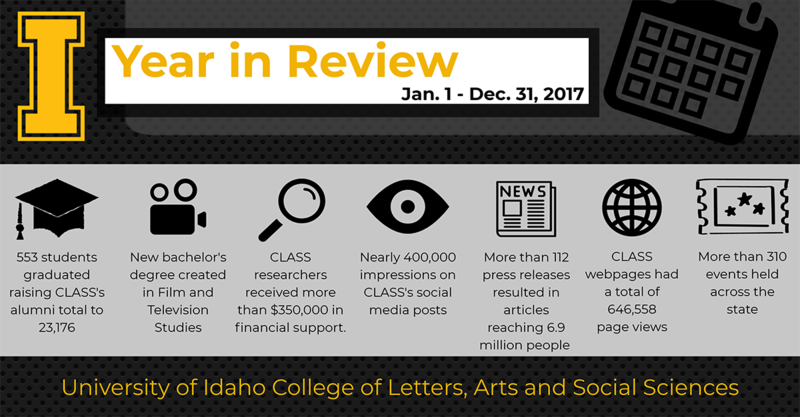 CLASS 2017 year in review. 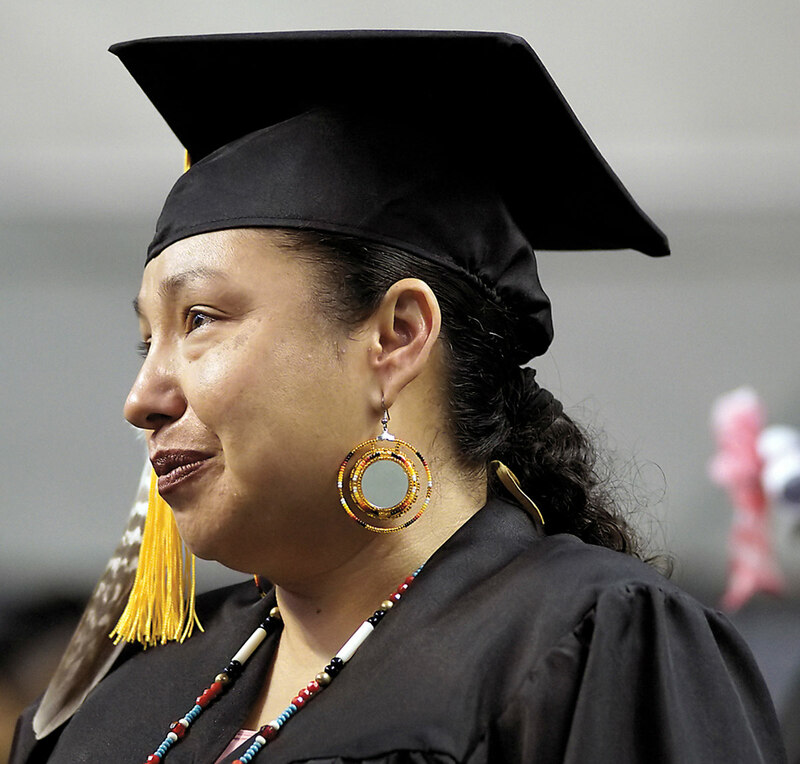 LoVina Louie graduates, 22 years after starting her college studies. Photo courtesy Moscow-Pullman Daily News. As her name echoed through the loud speakers of the ASUI-Kibbie Activity Center on Dec. 8, 2017, Heather Felkel walked across the stage to receive her diploma. The commencement ceremony was not just Felkel’s final day at the University of Idaho — it was also the first time she had been on the U of I campus. Felkel was among the 11 graduates this fall who completed their bachelor’s degrees online through the College of Letters, Arts and Social Sciences. A University of Idaho professor was honored by the Coeur d’Alene Tribe after 28 years of work within their culture. 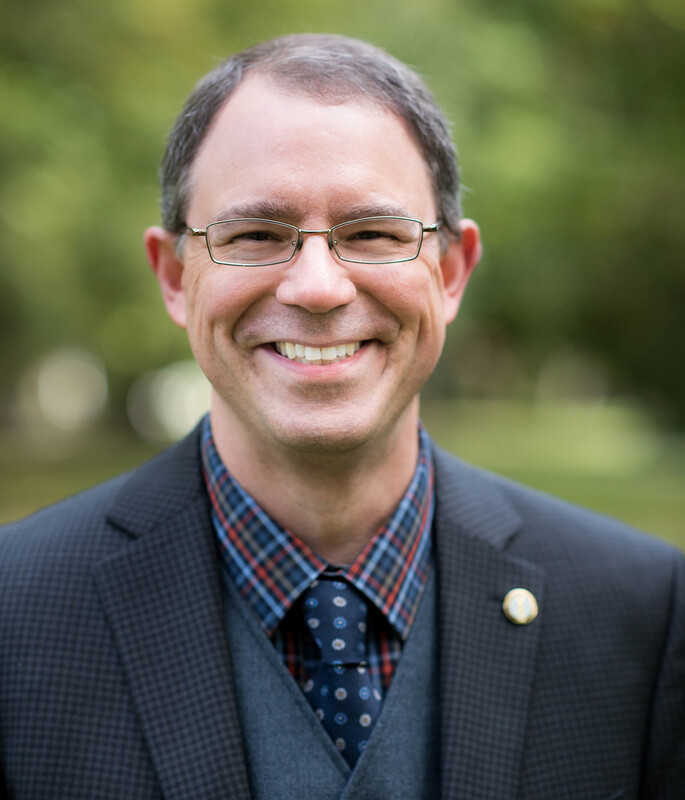 Rodney Frey, a member of the University’s College of Letters, Arts and Sciences, has worked with Coeur d’Alene tribal leaders to document, preserve and promote their culture. Former LCSC student John Abraham and Rodney Frey. Photo courtesy of St. Maries Gazette-Record. Feedback or suggestions? Please send them to kfoss@uidaho.edu.